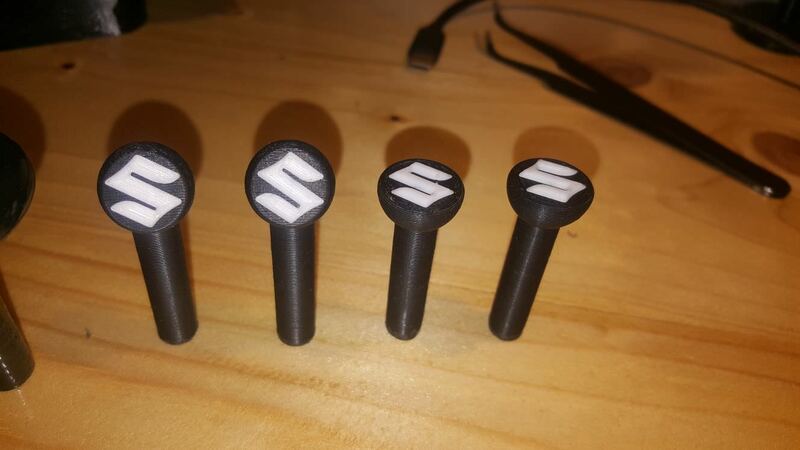 You are getting - 2pcs Custom door pins replacement for Suzuki Jimny/Vitara/Grand Vitara. 3D printed with strong ABS plastic. You can choose different style/logo colors as you wish just contact me first! sending the diagonal by default. The finished part is completely smooth and shiny. If you won't contact me I'll assume you want black pins with white logo with a diagonal style and I'll send it by default.